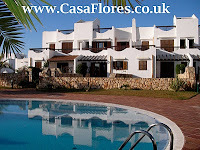 Due to system development & enhancements by Google's Blogger service, Casa Flores and Cala d'Or Holiday Accommodation Mallorca have transferred their blog site onto new servers. The service will be the same and we continue the same aims of providing useful additional information to people planning holidays to the Ballearic Island of Mallorca, often spelt Majorca. Please do keep in touch by visiting or by subscribing to an RSS feed.